Today's episode of the long-running BBC Radio show Desert Island Discs saw Galaxie 500 being selected as one of the castaway's eight selections. 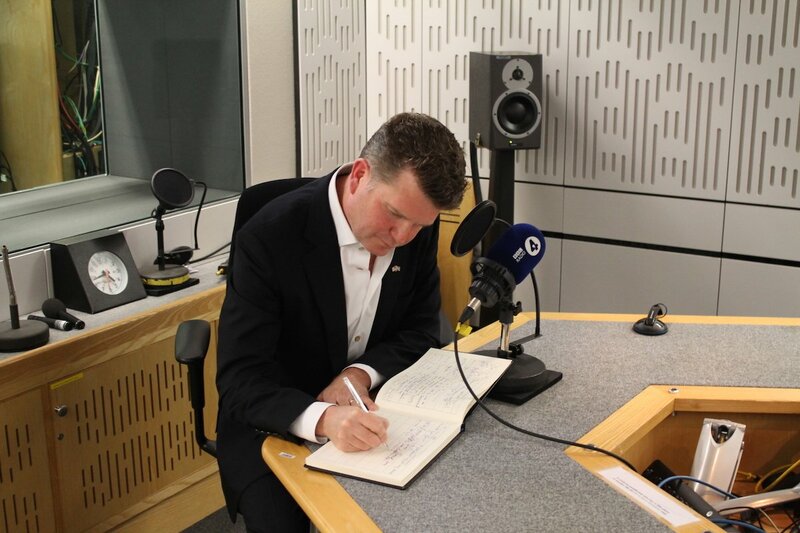 Matthew Barzun is the US Ambassador to the United Kingdom and was Kirsty's guest on today's edition of the show. Amongst his selections was Galaxie 500's cover of Joy Division's Ceremony. I played this song over and over and over again, I left half-way through university and went to South Africa […] I made a cassette of this. On his Twitter this morning Matthew posted a picture showing the tricky decision making involved in selecting his eight discs - it was nice to see someone taking this as seriously as it deserves! Well known (and sometimes not so well known) guests have been chosing their Desert Island Discs on BBC Radio since actor and comedian Vic Oliver picked Tchaikovsky, Jack Hylton and Bebe Daniels in 1942.